We are a family run business, based in Norley near Delamere Forest where our grandparents took on the farm in the 1940’s initially as a dairy farm and latterly as an arable enterprise growing potatoes and cereals. 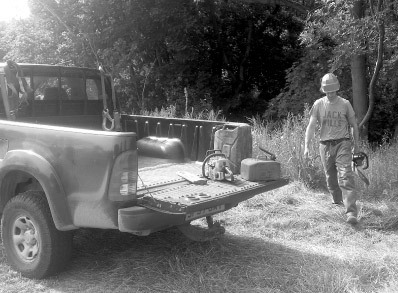 With woodland a sizable part of the farm, forestry and logging has always been a component of farm life. 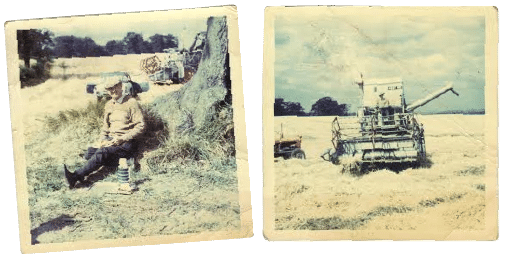 Below are a few pictures of Eric Starkey taking a well earned rest whilst harvesting wheat on the farm. 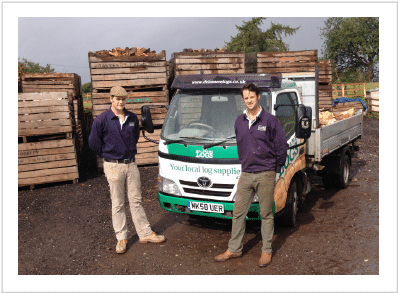 Eric Starkeys’ grandsons; Sam and Will Starkey (pictured below) established ‘Delamere Logs’ in 2010. You will speak to or meet one of us when placing your order or taking your delivery. If you ever experience a problem, speak to us and we will resolve the issue immediately. We are constantly thriving to improve and enhance the farmland and woodland the generations have worked on before us. 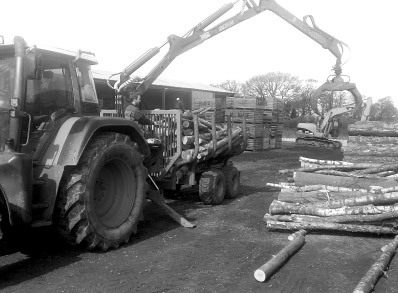 Not only do we want to create a successful timber business within Cheshire that is recognized in supplying quality products at affordable prices but also to give something back to our local environment. We have been busy replanting woodland, encouraging wildlife by setting aside field boundaries, established long term Woodland Management Plans and work with the local schools to encourage outdoor education. This is an on going project to say the least! 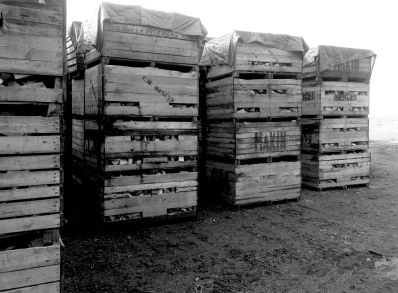 All our timber is sourced from the UK, predominately from the North West of England and North Wales as well as a proportion from our own woodlands. This is important to us to keep our carbon footprint to a minimum whilst ensuring a sustainable future for the UK’s forests and woodland. 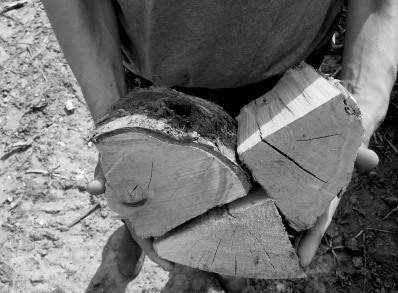 All of our timber comes from plantations which are replanted. Furthermore we choose to naturally season our firewood the traditional way by allowing the natural elements and most importantly time to dry our firewood rather than force drying logs in fuel powered ovens (kilns). The end product is exactly the same (dry logs!) its just our process uses significantly less energy. We offer soft woods such as douglas fir and norwegian spruce (no pines) as well as hard woods such as ash, beech, oak, silver birch and sycamore. 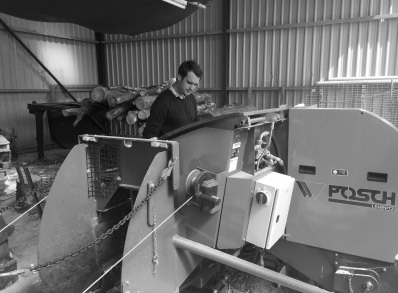 To keep up with demand and ensure are logs are cut and split well in advance to aid seasoning, we are investing heavily in new equipment constantly. 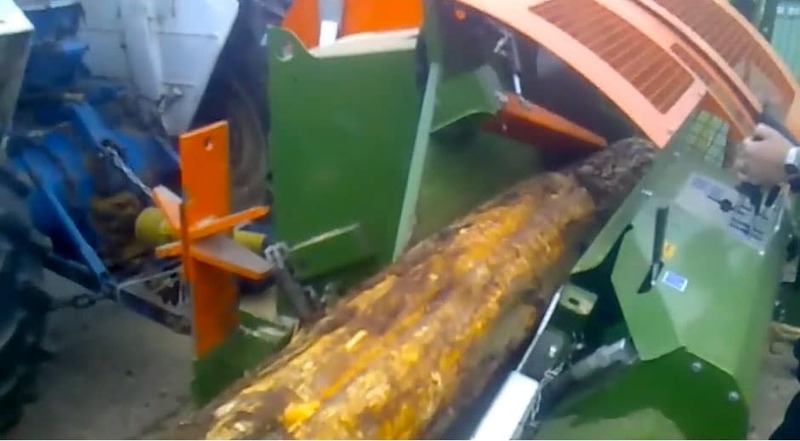 Earlier this year has seen the arrival of a new timber processor called a Posch S360. This allows us to cut and split timber without having a bad back constantly! 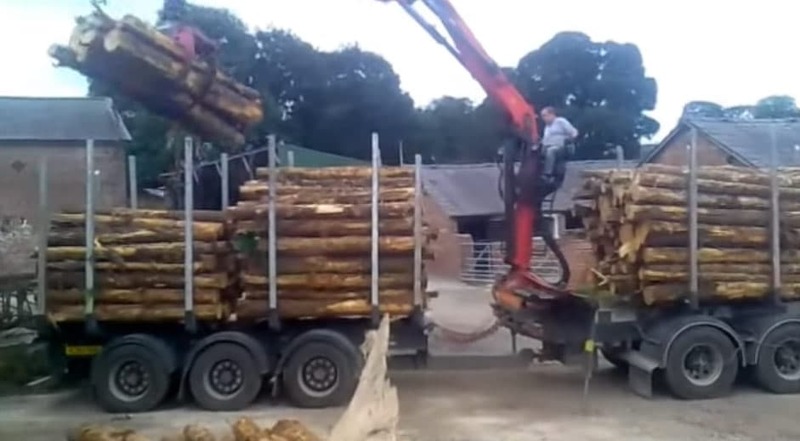 Using a joystick control it allows the operator to load the processor with a tree trunk or branch, cut it, split the log and load a trailer with no heavy lifting required. In the summer of 2016, we erected a purpose built shed for the storage and processing of stock. 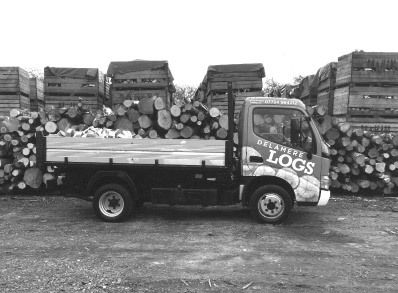 This also allows customers somewhere to park undercover, view and collect logs out of the winter weather.